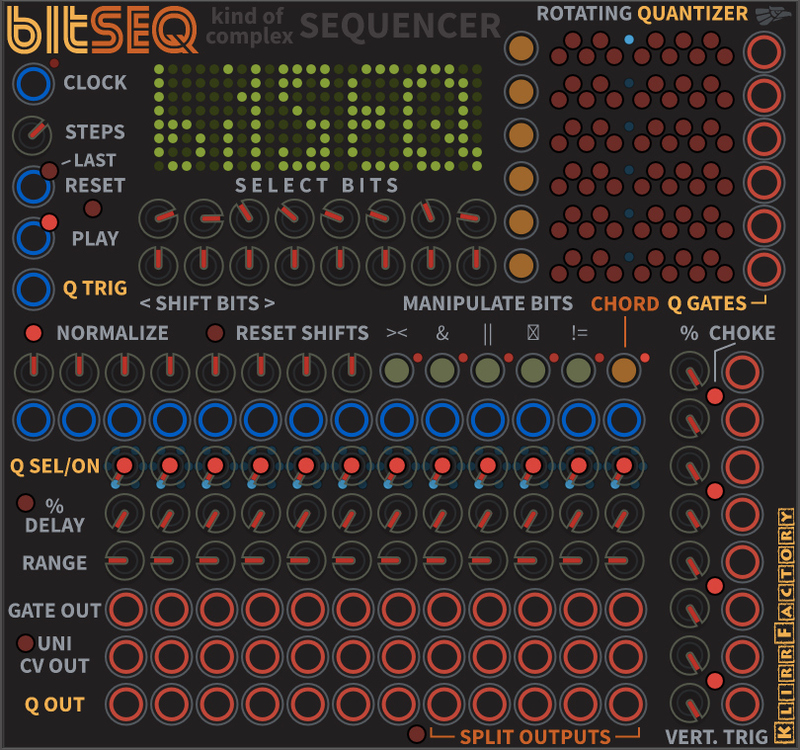 BitSEQ is a unique sequencer for VCV Rack with 12 quantized Outputs, 12 unquantized CV Outputs, 6 rotatable Quantizers and 26 Trigger or Gate Outputs. 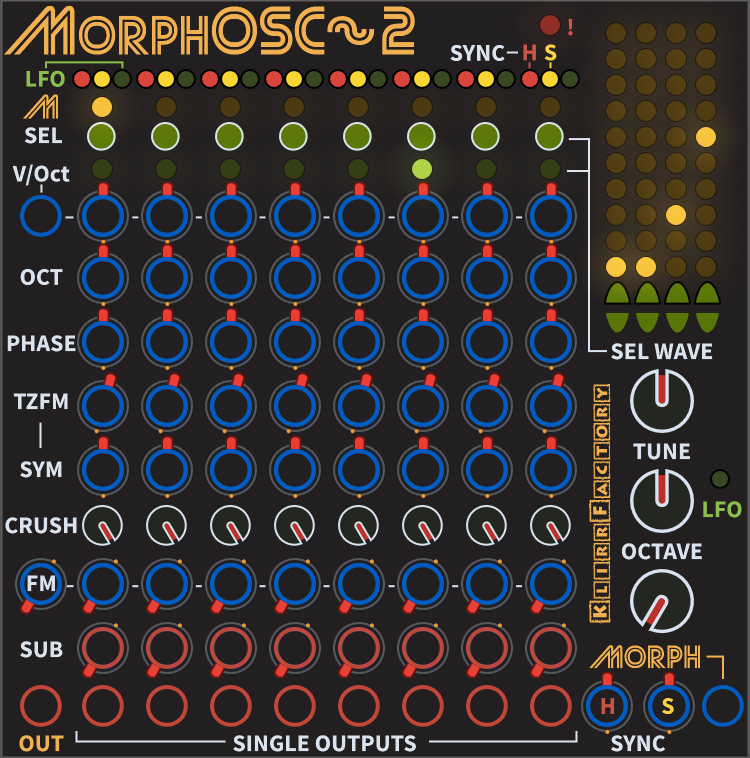 BitSEQ is based on BitOSC and allows you to create melodies, chords and drum patterns at the same time with only a few controls and inputs. 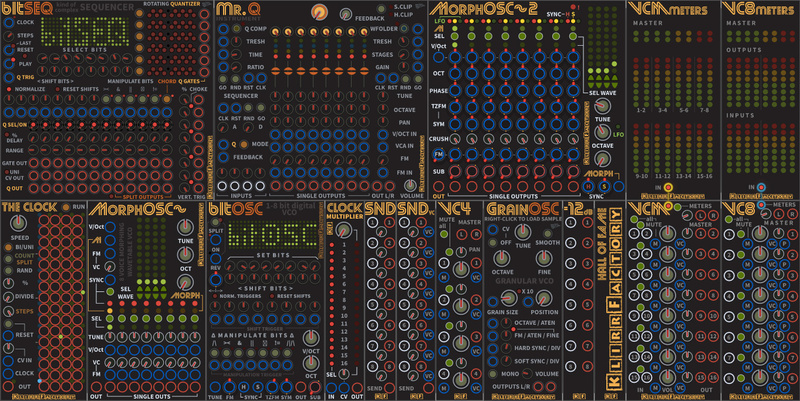 BitSEQ is included in KlirrFactory Titanium Edition and Hall Of Fame Edition.